Since we are into cake business now and baking has been a part of my life since I resigned from work, I am always on a look out for new recipes and cake designs that would bring delight to my family and friends. 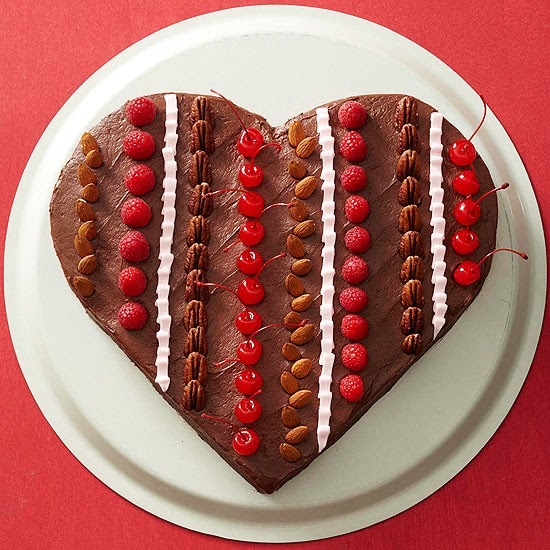 I found this cake recipe online and I think it's pretty cool and would be a perfect Valentine's day treat for your love ones. You can click on the link to bring you where the recipe is. I am tempted to make one for our table comes Valentine's Day. I am craving for cakes and I would like to try few more new flavors soon. your family must be happy to be with you now ate especially your kids. the sweet creations you bake will certainly be appreciated by your household and i'm sure your clients will continue to patronize your products! Wow, I envy you. This is one of the things I want to do but no time yet. The cake looks sooo yummy, by the way! Oh! Sana din sa bahay na lang ako. I hate to leave Matt especially pag may sumpong. Katulad kanina, he's crying but we have to go to work. Ay naiba na ako. That cake looks yummy and I'll look forward sa post mo about what you have baked.